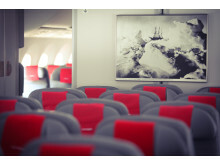 Norwegian is proud to announce that Antarctic explorer Sir Ernest Shackleton is the airline's latest tail fin hero. 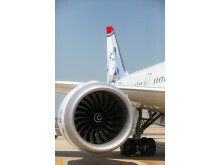 The renowned explorer’s portrait graces the tail fin of a Norwegian Boeing 787 Dreamliner aircraft which has taken to the skies this month. 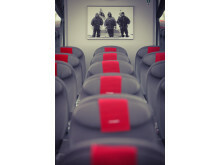 To reflect Norwegian’s rapid growth in the UK, where it now flies 5.8 million UK passengers each year to more than 50 destinations, the airline has launched a series of UK tail fin heroes. 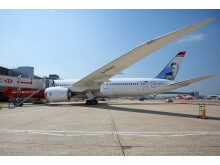 Sir Ernest Shackleton has become Norwegian’s seventh UK tail fin hero, following the announcement of poet Robert Burns, rock legend Freddie Mercury, author Jane Austen, footballer Bobby Moore, children’s authorRoald Dahl, pioneering pilot Amy Johnson and aviation maverick Sir Freddie Laker. 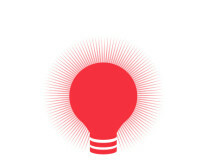 Sir Ernest Shackleton, born in 1874, was a renowned polar explorer who led three British expeditions to the Antarctic. His most celebrated was the ‘Endurance’ expedition of 1914 – 16 which planned to cross Antarctica via the South Pole. In 1915 the ‘Endurance’ become trapped in the ice and ten months later sank. Shackleton’s crew had abandoned the ship to live on the floating ice and in April 1916 they set off in three small boats which were sailed to Elephant Island. Taking five crew members, including Irish Explorer Tom Crean - who was announced as Norwegian’s first Irish tailfin hero last year, Shackleton went to find help. The six men spent 16 days crossing 1,300 km of ocean to reach South Georgia and then climbed the unmapped and mountainous island to a whaling station and organised a rescue effort. Thanks to Sir Ernest Shackleton not a single member of the 28-strong team died during the nearly two years they were stranded. 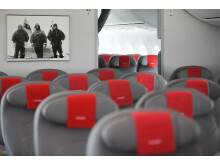 Europe’s third largest low-cost carrier flew 5.8 million passengers from the UK to over 50 global destinations. The airline has one of the youngest aircraft fleets in the world with an average age of 3.7 years, with more than 150 new aircraft on order. 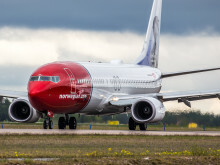 Norwegian has been awarded the ‘World's best low-cost long-haul airline’ for three consecutive years at the SkyTrax World Airline Awards.